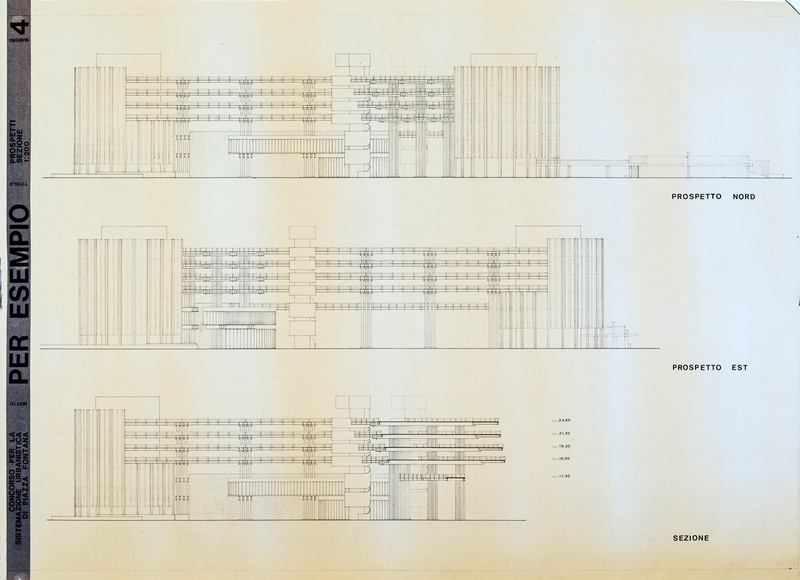 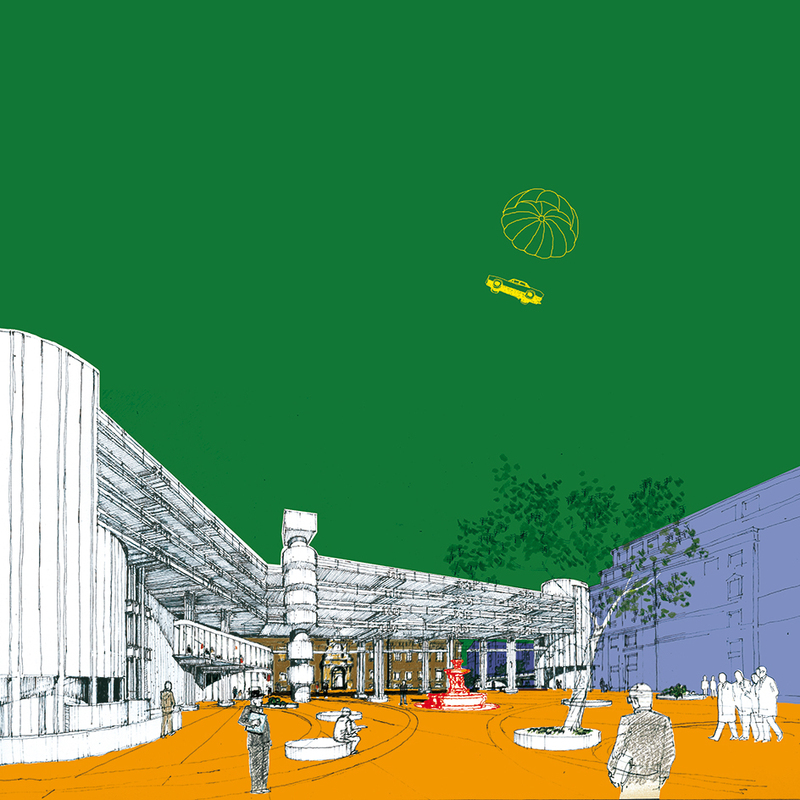 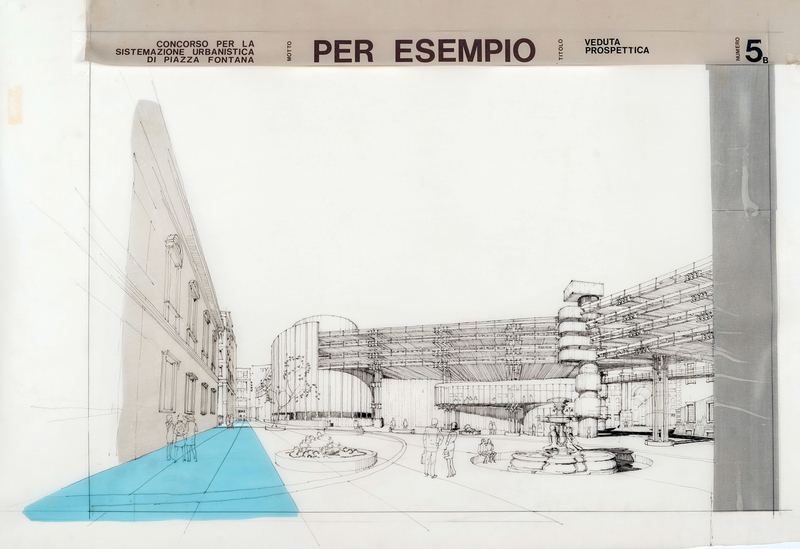 Francesco Gnecchi Ruscone, a cultured and sensitive Milanese architect, took advantage of the ideas competition to redesign Piazza Fontana by entering a highly provocative project: a giant multi-storey car park, built on pillars, that surrounds the square in a menacing embrace. 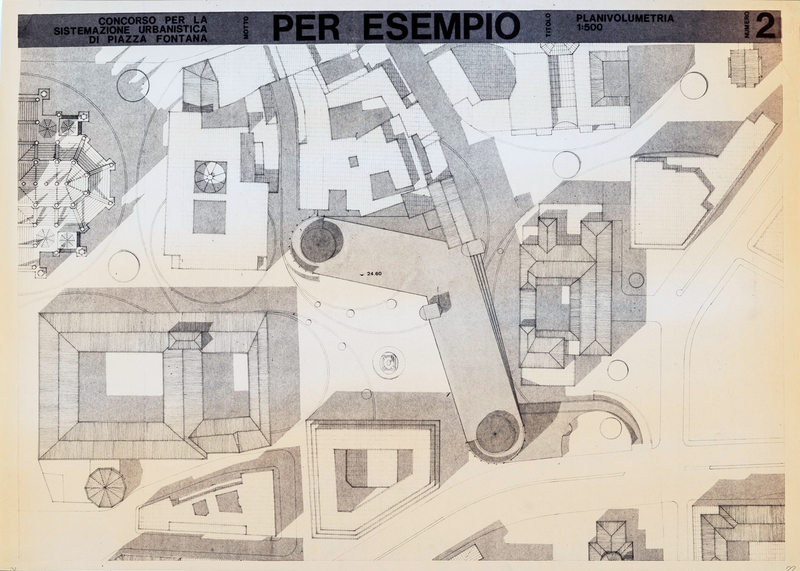 The car park formed an L-shape between Via Pattari and Via Verziere, with two enormous cylindrical towers at the extremities, for entrance and exit ramps. 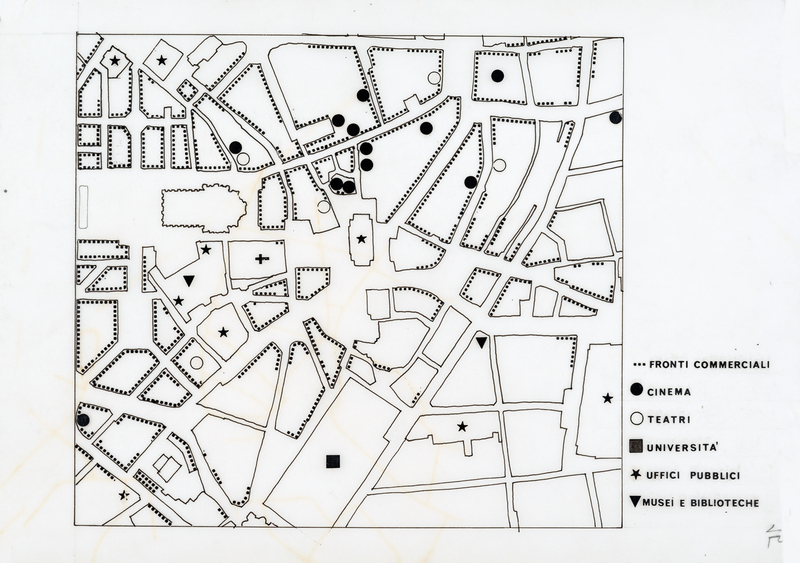 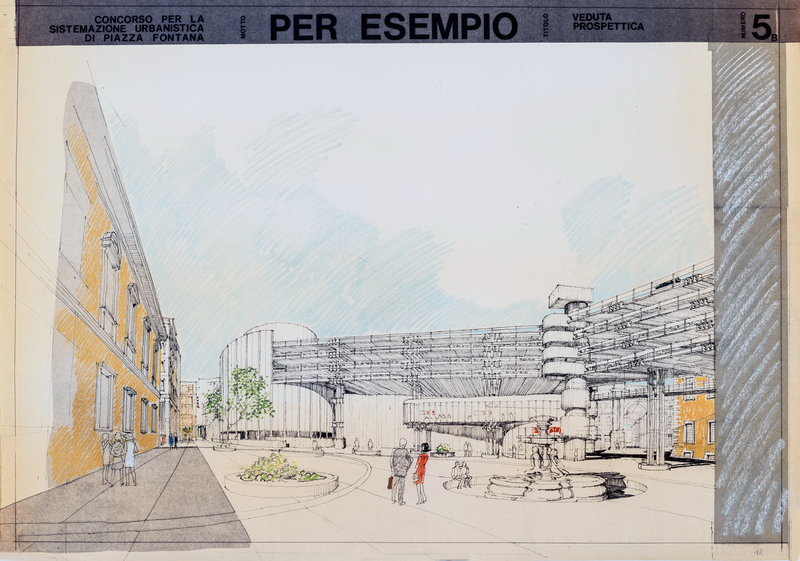 The design, given the title “Per esempio” (“For example”), was a deliberate act of defiance in the face of the tendency of the period to fill the centre of Milan with multi-storey car parks. 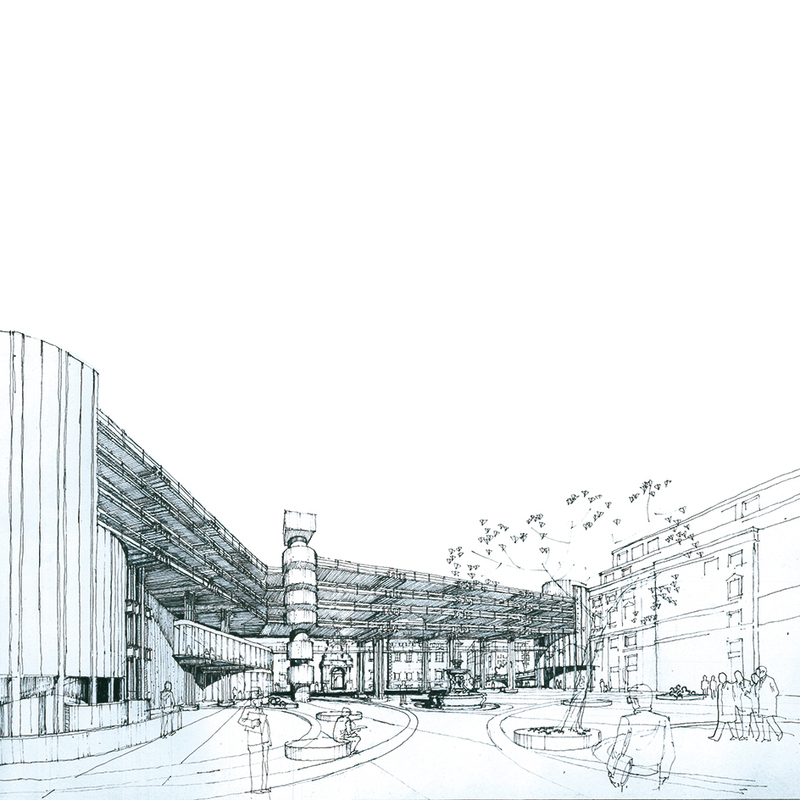 A visionary “ecomostro”, or giant carbuncle, as a warning against the all-powerful automobile. 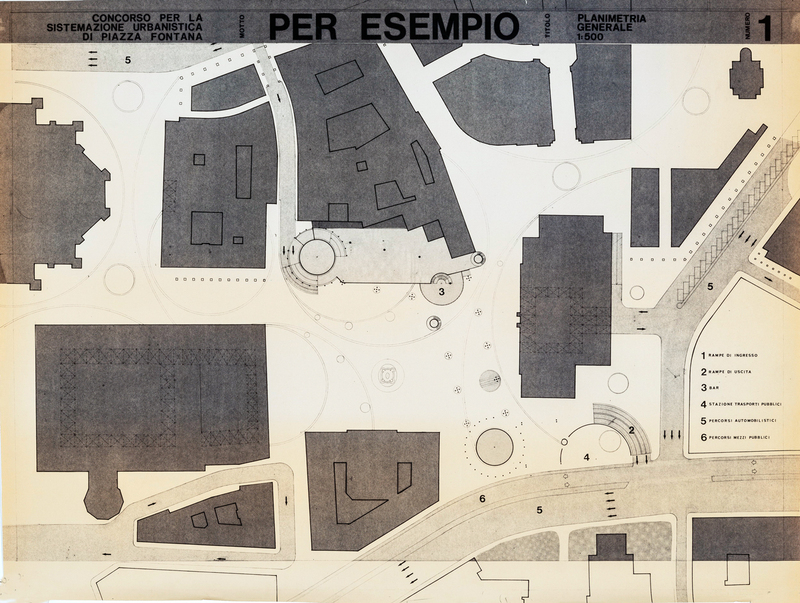 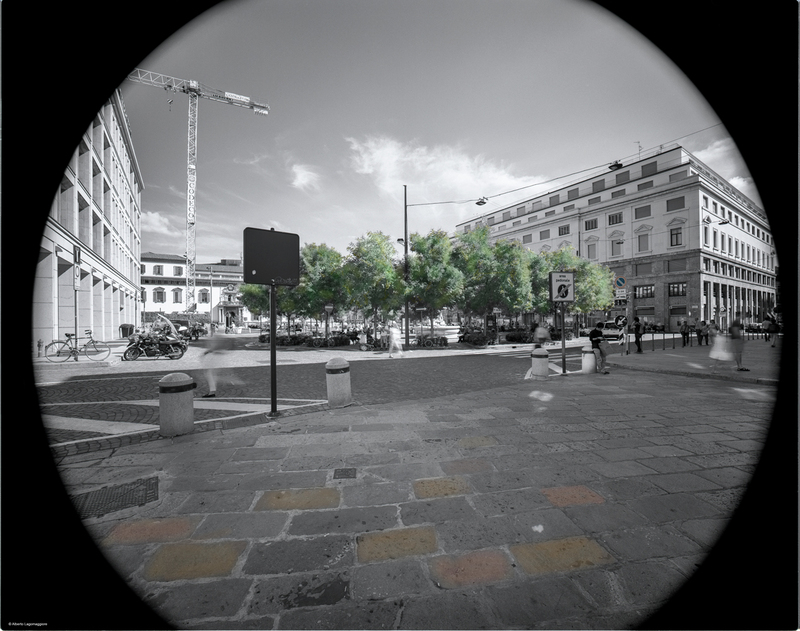 « […] it must be made clear that anything designed in a space can only be expressed in physical three-dimensional terms, and that this can only influence the environment in which it is placed through the effect that the presence of a form can have. 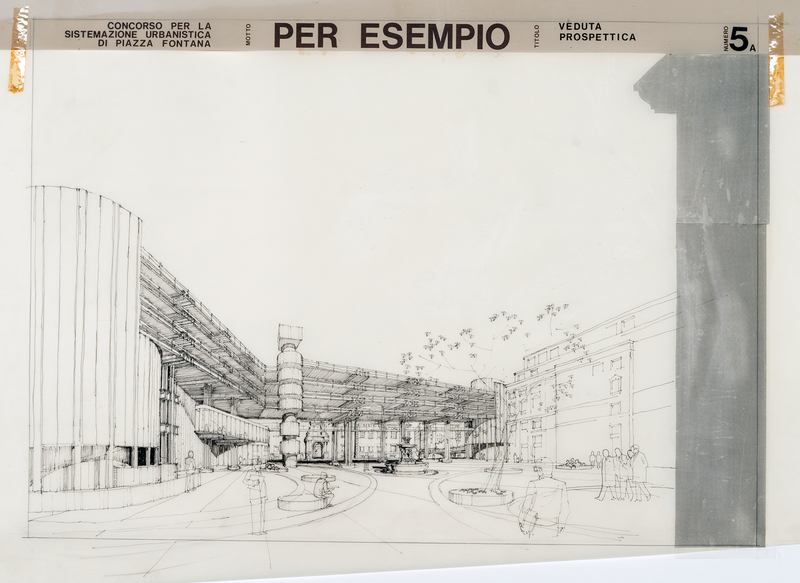 […] Expecting a shape to somehow have the virtues to dispel social problems or resolve economic equality means reaffirming the enormous misunderstanding that has deviated contemporary planning from its true aims and from its most significant responsibilities».